Carnival Corporation has welcomed AIDA Cruises' new AIDAnova into its fleet today at a celebration in Bremerhaven, Germany, as the world's first cruise vessel to be powered at sea and in port by liquefied natural gas (LNG). 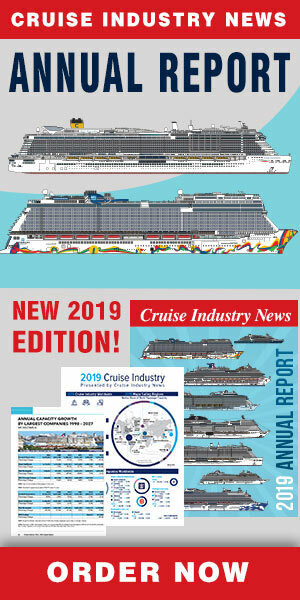 "AIDAnova is a milestone for our company and the entire cruise industry," said Michael Thamm, group CEO of Carnival Corporation's Costa Group – which includes AIDA Cruisesand Costa Cruises – and Carnival Asia. "With Carnival Corporation pioneering LNG technology, we start a new era of environmentally friendly cruising. It's important now that the respective infrastructure will be further developed as more and more cruise lines are following our example." The largest cruise ship ever built at a German shipyard, AIDAnova also marks an exciting new generation of ships for AIDA Cruises. In 2021 and 2023, two additional ships from the new AIDA Cruises generation of vessels will join the AIDA fleet, in addition to new LNG-powered ships on order for Costa Cruises, P&O Cruises in the UK, and Carnival Cruise Line and Princess Cruises. Following today's launch of AIDAnova, Carnival Corporation has an additional 10 next-generation "green" cruise ships on order that will be powered by LNG.